For a more durable repair suitable for use in flooring, try our new Wood Repair Hardener. Compared to our Knot Filler Rods which are designed for heavy-duty outdoor use, our wood repair powder is more suited to indoor use and fine detail repair. Because this powder does not require a heating gun to apply, it's perfect for use on-site or for already finished pieces, especially in hard to reach areas which have been nicked or damaged and need touching up. If your wood material needs to be sanded or cut after repair, we recommend you use our Knot Filler Rods. 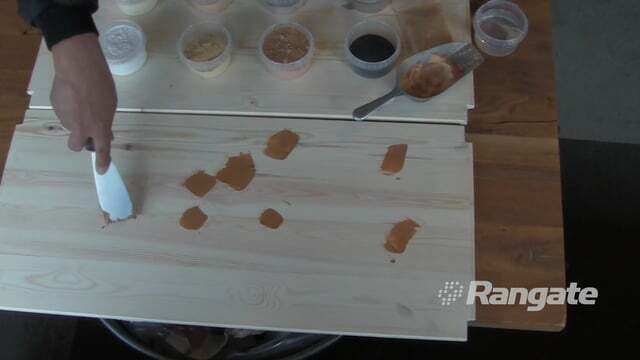 Step 1: Wood Repair Powder is applied and solidifies at room temperature. To prepare your powder for use, mix a ratio of 3 parts powder to 1 part water for the amount you need. Be sure to avoid waste by only preparing as much powder as you'll need for the job. 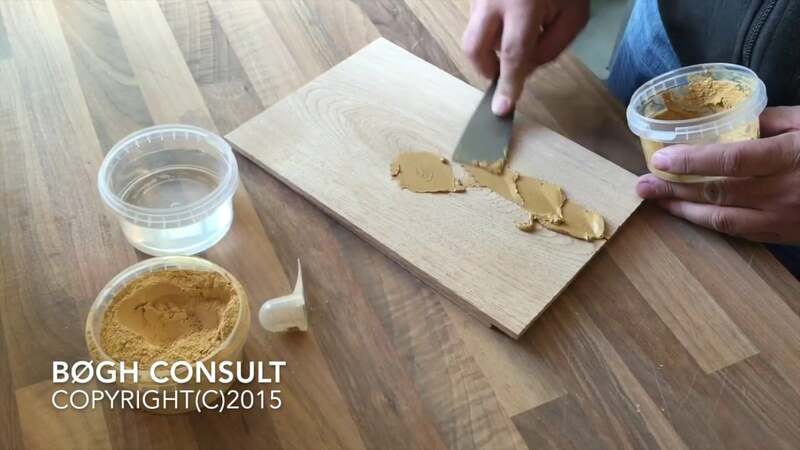 Step 2: Use a small knife or trowel to apply the compound to the wood imperfection before it's dry. If you've mixed more solution than you need, cover it with a lid to extend the time it will keep before solidifying. A little water can be added to keep it from drying out, but only very little is needed- less than 1 part water to 3 parts powder. Step 3: Using a chisel or a small knife, remove any excess filler. Step 4 (optional): Lightly sand the newly-filled imperfection to blend it and achieve a natural-looking repair.